President Jonathan is seeking $1billion loan to fight Boko Haram. 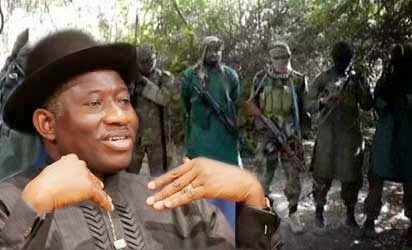 In a letter sent to the House of Representatives this morning, President Jonathan asked the Rep members to approve a request for an external loan of $1billion (about N165billion) which would be used to upgrade the equipment of the Armed Forces in the fight of the insurgent group, Boko Haram. The letter was read this morning during the house plenary session.